Before talking about Hacking let me talk about Hacker. 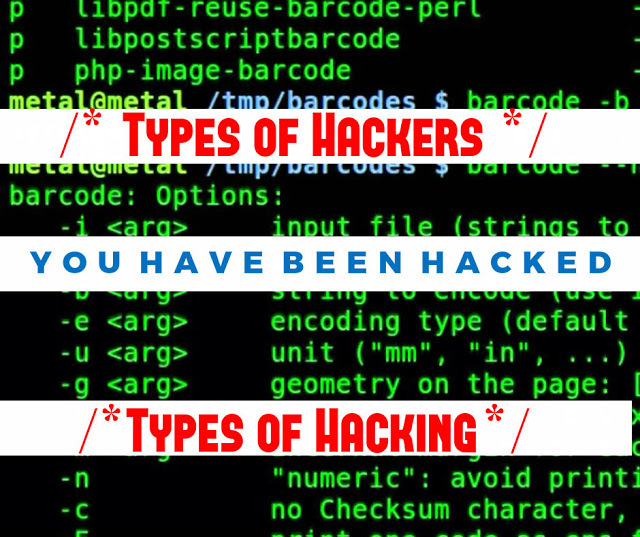 Nowadays Hackers are taken as who plays with the IT security or dealing with cyber crimes. So you may ask who are hackers according to you. If you wanna know then on reading this. So lemme tell you about Hackers. If we study about history hackers were those people who used to play with technology and gadgets of that age just like today we try to crack Wifi password or mobile phones. Generally, hackers are always curious about new technologies, new inventions and are always thirsty to know the juicy facts on how the device works and after knowing the working mechanisms they try to alter the device to make the best usage of it. What I have seen is hackers love to play with computers in School, Collages and of course home. At schools/institutions or corporate office, hackers learn more. It’s like protecting a bank to prevent from the robbery is a good idea but a hacker even things more than that of in the sense that he thinks both ways how the bank is protected and how to find out cracks on it so that he can escape after looting. Altering any device for productive usage is a good thing but sometimes profit for one can be a loss of others. This has happened after the evolution of computers in the markers. Because now information can be sprayed from any country. The new technologies or devices made easy for them to target worldwide web also. Some hackers now tried to make a profit in terms of money. So they spread spyware and malware in others computer via The Internet. Some did for self-satisfaction but some made their business in this way. While the software was being developed rapidly and the price tag was high, then for free usage they hacked servers or data storage system, And from them, piracy of software and movies were encouraged. Who doesn’t like anything free of cost? Later P2P site like Pirate Bay and KickAss Torrents came into existence. Denial of Service: DoS attacks give hackers a way to bring down a network without gaining internal access. DoS attacks work by flooding the access routers with bogus traffic(which can be e-mail or Transmission Control Protocol, TCP, packets). Distributed DoSs: Distributed DoSs (DDoSs) are coordinated DoS attacks from multiple sources. A DDoS is more difficult to block because it uses multiple, changing, source IP addresses. Sniffing: Sniffing refers to the act of intercepting TCP packets. This interception can happen through simple eavesdropping or something more sinister. SQL injection: SQL injection is a code injection technique that exploits a security vulnerability occurring in the database layer of an application. It uses normal SQL commands to get into the database with elevated privileges. Viruses and Worms: Viruses and worms are self-replicating programs or code fragments that attach themselves to other programs (viruses) or machines (worms). Both viruses and worms attempt to shut down networks by flooding them with massive amounts of bogus traffic, usually through e-mail. Back Doors: Hackers can gain access to a network by exploiting back doors administrative shortcuts, configuration errors, easily deciphered passwords and unsecured dial-ups. With the aid of computerized searches (bots), hackers can probably find any weakness in the network. These days new laws are implemented to protect the computer system, businesses, films and software piracy and website attacks and up to some extinct piracy has been-been prevented. But then also, hackers are hackers, nobody can say what comes in anyone’s mind at any time.